What have you planned for the summer vacation? What are your kids doing this summer vacation? Vacation! a perfect time to enjoy and relax. Some have planned to go for holidays -to abroad, native village, short trips, long tours; some kids have already been enrolled in one week summer camps, creative classes, swimming etc. The summer vacation generally lasts for a month and in many places, around two months. So, even after perfectly scheduling the vacation plans, when they are in their homes, kids feel booooored..
Now what is left to do? They have already filled many drawing and colouring books, played board games, did craft work , made cards. 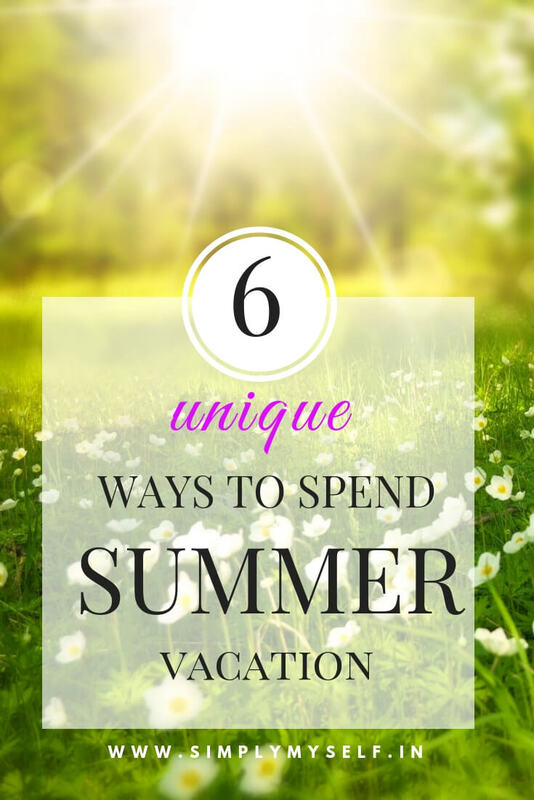 Here are 6 unique and out-of-the-box ideas to spend the rest of the summer vacation and the best part is, these activities are not restricted to a particular age group. These 6 unique methods can easily be moulded according to the age group. This vacation, why not have some brain exercises for our kids which will not only build up their logical and creative abilities but will also help them to grow academically without making them feel that they are actually studying. You know how kids hate to study! and the best part is, they are spending quality time with their family members which is most essential. Writing a creative story: Give them a prompt to write a story. It can be a moral on which the story should be based(ex: honesty is the best policy, friend in need is a friend indeed) or give just the beginning line of the story and see how their creative minds produce different stories. You can, as well tell them to write an original story without giving any determinant. The reward could be anything from a visit to the zoo or an ice cream or anything of their choice. Listening to stories: This activity is for smaller kids for whom writing stories might become difficult. Many a times you have told them stories with moral lessons. Now do it differently. Tell them a story using props and toys . After you have narrated the whole story, ask them few questions from that story. Questions could be about the names, nature and relations of some characters, moral, description of a particular place(ex: village, pond , types of trees if you have described them while narrating). This would make them more attentive and their visualising power would definitely increase. Making a video : It’s a digital world and you cannot completely distance your child from this. Let’s use the same medium then, to have some fun. Ask them to make a short play or act, in which they will perform and make a video of it. They can easily include their friends into this task too. Extempore with a twist: You must have heard of extempore and many of you or your kids have participated in it too. Extempore means speaking on a topic without preparation. Generally a theme is given to the participant on which he has to speak for 1 or 2 minutes instantly. You can mould this activity a bit. Give them a topic in the morning and tell them to prepare for it. In evening or at any convenient time of the day, when all family members sit together, ask the kids to speak what they have prepared. This can be transformed into a regular activity. It will not only improve their speaking skills but will also help them to overcome their shyness and hesitation. A help a day : The great society begins at home and the most important aspect of a society is helping others selflessly. Lets inculcate this value in our children through an activity. Give them a task to help at least one person every day in any way they can. It could be as small as offering their seats to an elderly or helping someone to carry her/his grocery bag ; serving a glass of water or folding clothes. At the end of the day, ask them what they did. How did they feel while doing it or whether they had to face some difficulty. Give them suggestions and encourage them. Assign a responsible duty : You can assign some important daily chores to your kids. For instance, they can be given responsibility of watering the plant every morning and evening, or serving the food in one of the daily meals or feeding pets. This way you are sending them an important message that they are contributing family member. It will help in building their self-esteem. The essence of making these 6 unique summer activities is : these activities are helpful for the children and their guardians as well. It gives an oppurtunity to enhance the bonding between them, to have some moments of laughter, to share few words of appreciation and most importantly for an overall development of the child. Wish you a simply unique vacation. Nice ideas….we have grownup, but can also join kids in the activities and can remember our childhood.